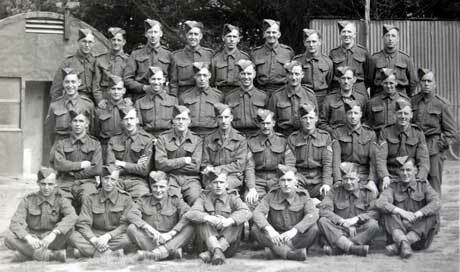 Warrant Officers and Sergeants, 7th Battalion, Colchester, April 1940. 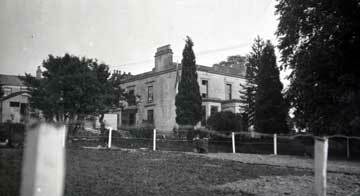 Officers' Mess in Northern Ireland, 1941. Officers of the 7th Battalion, Northern Ireland, 1941. Rear row, left to right, Captain G E P Rowson, 2nd Lieutenants Simmonds, I A N McLeod, E A Rankine, H Rawcliffe, F R P Boughey, Lieutenant L H L Wheeler, 2nd Lt S L Rickard, Lieutenants Q M Burgess, S P Fawcett and M J Letchford. Front row, left to right, Captains W L Odam, E J Jones, J J Turnball MC, F G Gadd, MC, Major R S Lawson (2nd in Command), Lieutenant Colonel E G Pullan MC (Commanding Officer), Major L S Norton, Major W P A Shuttleworth, Captains J Farish, A D Eteson and I E Jacques (Adjutant). 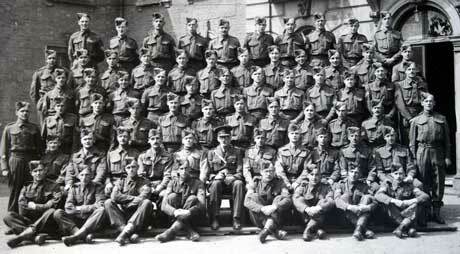 Group of D Company, 7th Battalion, in Northern Ireland, 1942. 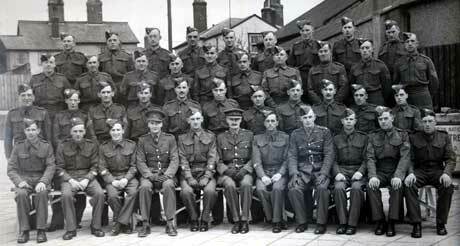 Signal platoon, 7th Battalion, Marbury Hall, Northwich, Jun 1942. 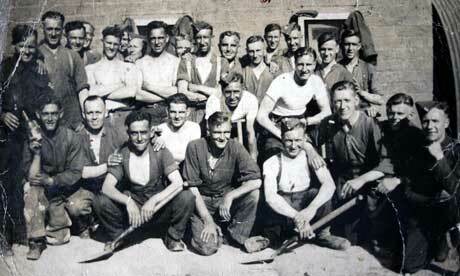 Carrier platoon, 7th Battalion, Marbury Hall, Northwich, Jun 1942. Visit of the Colonel of the Regiment to the 7th Battalion at Northwich, June 1942. Lieutenant General Borrett taking the salute. Visit of the Colonel of the Regiment to the 7th Battalion at Northwich, June 1942. 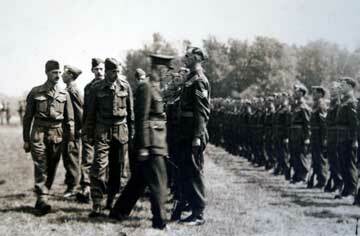 Visit of the Colonel of the Regiment to the 7th Battalion at Northwich, June 1942. 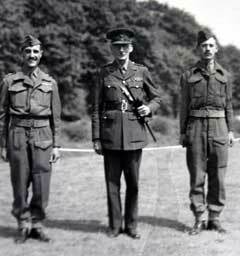 Left to right is Lieutenant Colonel R P F White, Lieutenant General Sir Oswald Borrett, and 2nd Lieutenant Waters-Taylor. 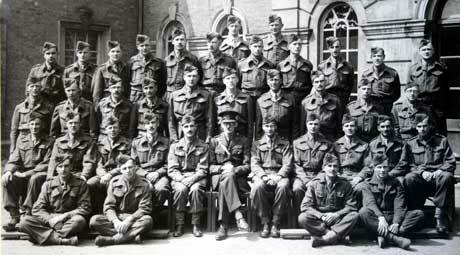 Warrant Officers, Staff Sergeants and Sergeants of the 7th Battalion, at Marbury Hall, Northwich, Cheshire, 1942. 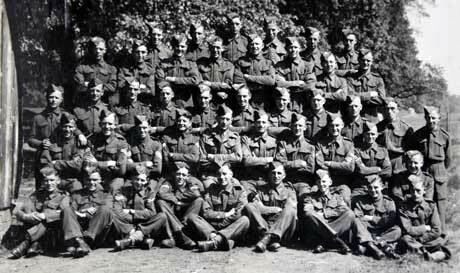 Officers of the 7th Battalion, at Marbury Hall, Northwich, Cheshire, 1942. Rear left to right: 2nd Lieutenants FitzGerald and Holmes. Third row, left to right: Captain Coleman, 2nd Lieutenants Wellbourn, Poole, Lyon, Waters-Taylor, Taylor, Hassett, Boughey, Juett, Lieutenant Ward and Lieutenant (Quartermaster) Kenyon. 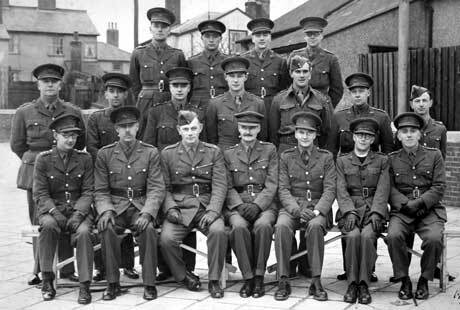 Second row, left to right: Lieutenants Riches, Giffen, Owen, Harriman, Devonshire, McIntosh, Barnes, Robertson, Cowens and Captain Jackson. First row, left to right, Captains Jones, Odam, Turnball, MC, Gregory, Lieutenant Colonel R P F White, MC, Lieutenant General Sir O C Borrett, Major W P A Shuttleworth, Captain and Adjutant Jacques, Captains Rowson, Emmett and Pocock. 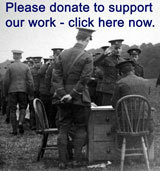 Seated, 2nd Lieutenants Thomas, Reid, Hulme and Lieutenant Rawcliffe.